You don’t have to wait for the rainbow to appear to get your hands on the magical being, just jump into the bandwagon and we’ll talk about nothing but unicorns. If you know someone who is obsessed with them then come along as we journey the fantasy and make believe where unicorns become adorable presents. 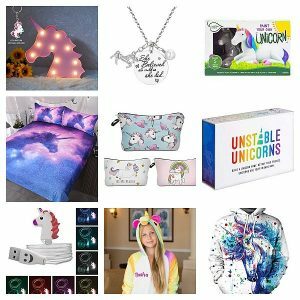 Here, we’ve rounded up a few unicorn themed items that will surely win the heart of the lucky recipient! Because when it comes to believing in unicorns, age really does not matter; I don’t think there’s anyone who can resist the enchanting creature. It really is a breath of fresh air to find gifts that are related to our religious beliefs. In a world where we are faced with fears almost everyday and sometimes peace is hardly possible to get, it’s good to find a way to stand in our faith. 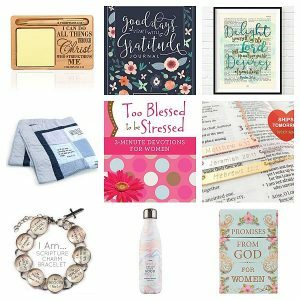 If you are thinking of giving a present for a special someone who has or needs to grow deeper in faith, then stay with us on this gift giving webspace. A man’s best friend truly deserve some treats! If you own a dog or if you happen to know a friend or a family who can’t get enough of their four-legged buddy, then this gift guide is for you to check out. I am a certified dog-obsessed and I can tell you straight away that this listing became a little personal for me, well, because surely I know what a dog person wants and what a pet dog wants (trust me, I don’t bite). 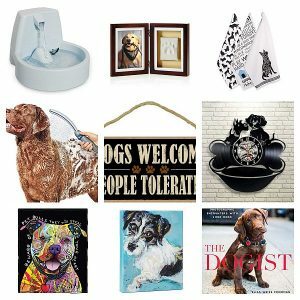 I’ve compiled some pawsome gift ideas for the pup lover in your life, ranging from sentimental photo frame to a more advanced shower wand to keep the fur clean and sleek. On to the listing! Being a teacher takes courage, wisdom and passion; and what a noble job it is to become a teacher by profession. If you want to show her your appreciation, then we dedicate this article for the compassionate teacher that you know. Whether you are her student or a parent of her student, don’t let the year pass without giving her a lovely present. 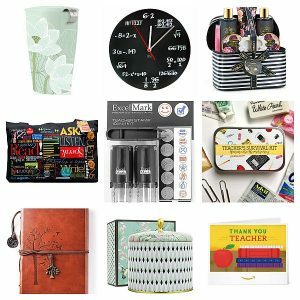 Not only did we come up with pleasing gift ideas, but we really wanted to make sure that these items will be useful and would bring some good and happy cheer for the best teacher. You may give them a gift card which is downright practical but you can do more effort than that, and we’re here to assist you with that! In a world of imagination, anything is possible, and if we can somehow turn that into reality, oh what a joy it can bring. For fantasy inclined people, you really have to do your own mini research on what fantasy films, series or books fall on their category, because not all fantasy fans are a big fan of Harry Potter or Lord of the Rings. Bear in mind, also, that you have to find them magical gifts that are unique and would last a good amount of time, because the love for fantasy and mythical can sometimes last for a lifetime. So when you find it hard looking for the right fantasy gift, keep it cool and do not feel frantic, we’ve compiled some pretty good fantasy items that are well loved and will be loved by the trickiest fantasy supporter. Photography as a hobby can be quite expensive, so when you need to give a fellow photographer or a friend who has an interest for cameras and lenses, you may have to prepare for the budget. But just because photography is perceived as a costly craft, it does not mean that you have to spend a lot, unless you really want to give a lavish camera accessory but if not, there’s a ton of gifts that are camera-related or camera-themed that you can choose to give. One thing that makes it hard to buy a gift for a camera person is when you don’t really know which accessory or present to get, so leave the searching to us because we know what to give that person who’s behind the lens. We’ve done the research for you, and rounded up these 15 best gifts for any photographer that you know. We really think that these are all worth a click! If there’s one thing that’s up our alley, it’s writing for sure! And because we like to write about gifts, we think it’s about time we dedicate a topic for our fellow writers. If you happen to know someone who has a talent and love for writing and you want to give them a gift, then we can surely tell you what works and what our co-writers would love to receive. Thanks in advance if you are thinking of sending us a gift, but sharing this internet space with us is already a great present. We’ve gathered some unique and sensible gift ideas for the ink slingers and journalists alike. Just keep on browsing! Just because he is about to retire does not mean he’s at the end of the line. If anything, retiring is a great time for him to do his hobbies or learn new skills, and maybe go to somewhere he has never been. There’s still a lot of things to do even if he says adieu to his corporate or non corporate job; and even if he is a newly pensioner, it doesn’t necessarily mean that he should give up his young self within, because no one is too old for adventures and chasing dreams. Help him celebrate his retirement with this list of gift ideas that he’ll surely enjoy and love. Whether he’ll set sail on the Caribbean or fly over to Japan, or continue doing his sports or learn a new hobby first-hand, here, we’ve gathered a short and sweet lineup of gifts for the new retiree. A retirement is one of the milestones that we are probably looking forward to, it’s like a completion or conclusion for all the years that we’ve worked so hard. If you know someone who will become a retiree soon, be it your mum, aunt, sister or an officemate but you have little to no time shopping for the right retirement present, don’t worry because we have done the research for you. Find the perfect retirement gift on our list, anytime would be the best time to give but this occasion is the best time to show them how proud you are for finishing this milestone with grace. And when something ends, something is about to begin, so here’s to more adventures and learnings as a retiree! It takes years of following/watching the beloved movie sequel to really be a Star wars enthusiast, yes, being a fan doesn’t happen overnight! Due to its impact and fame, it’s no surprise that there’s already a ton of Star wars merchandise in the market. The challenge now is to find the extraordinary or purposeful gift for the Jedi master who happens to be a friend, family or lover. Whether they are a fan of Leia, Darth Vader, Hans Solo, or Trooper (I could go on and on but let’s begin our listing) we’ve handpicked these items for the true blood Star wars fanatic! Do not be the last Jedi to know what’s hot and what’s not when it comes to gifting, we are sure that the force is with us on this one!